It’s been a little over a year since I first posted about these busts, and now they’re finally available. (For some reason Max Rebo himself will not be coming out for another month or so.) Somehow BBTS got their orders in even before Gentle Giant itself, so I think I’m one of the first to get them in-hand. 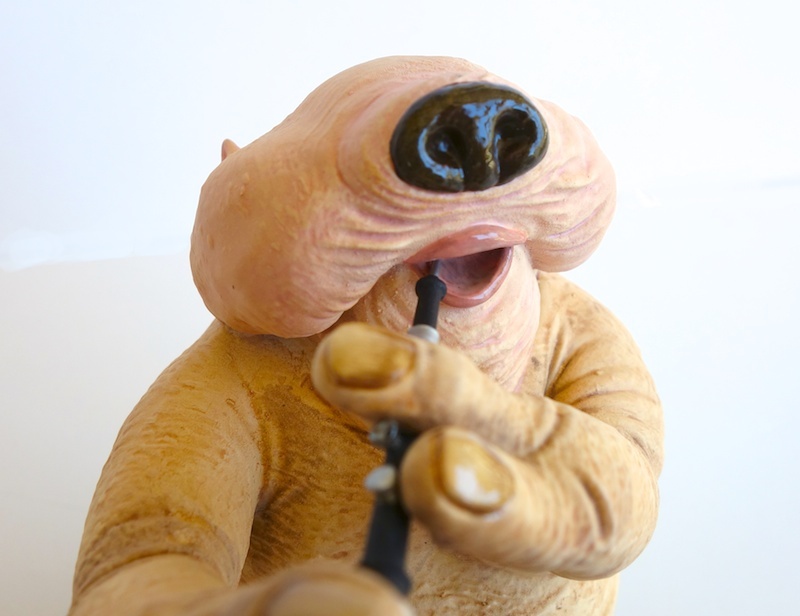 I actually opened Sy Snootles first, and compared to her, Droopy here is a little plain. Of course that’s mostly due to the nature of the character itself. He’s basically all one color (although I was surprised to see that the head is a pinker color than the body) and he doesn’t have much in the way of facial features, either. I had forgotten that he had little pointy ears. His only accessory is his instrument, although mine appears to be a little bit bent. I don’t think it’s enough to try and get a replacement though. 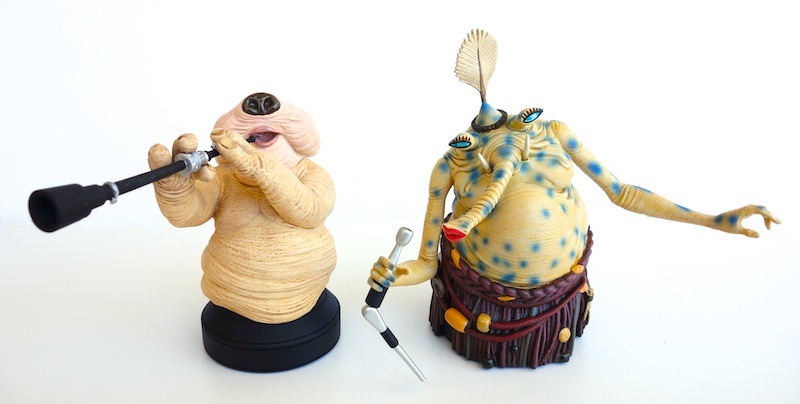 All in all, he’s not a bad bust, but he’s definitely the kind of character you buy because you want the whole Rebo Band, rather than because you like him in particular. I actually think I prefer the way Gentle Giant sculpted and painted him for their Rebo Band statue, although it’s not a huge difference. Here he is with Sy.